APC’s modular and scalable Symmetra UPS can now reduce the impact of Capital Expenditure (Capex) as well as Operating Expenses (Opex) whilst helping data centre customers increase the efficiency and reduce the carbon footprint of power protection equipment. •	APC Symmetra MW (200kW to 1600kW). Inclusion on the Energy Technology List indicates that listed APC Symmetra UPS models meet with published energy saving criteria and therefore qualify companies purchasing the units for Enhanced Capital Allowances (ECA). The Government introduced the ECA scheme in 2001 to encourage businesses to invest in low carbon, energy-saving equipment. As part of the Climate Change Levy Programme, it’s designed to help the UK reach its Kyoto target of reducing carbon emissions by 20%. APC now has a total of 57 products on the ETL, including their Symmetra UPS, power modules, inverter frames, battery/ PDU frames and In/ Out frames. The modular nature of the APC Symmetra UPS means that future upgrades of the equipment, e.g., to increase power protection, redundancy or runtime, could also qualify under the ECA scheme; as could qualifying replacement parts for maintenance requirements. APC Symmetra PX is a world class, redundant, scalable, power protection system designed to cost-effectively provide high levels of availability. Designed to seamlessly integrate into today’s data centres, APC Symmetra PX comprises dedicated and redundant modules -- power, intelligence, battery and bypass - engineered into a design that is easily and efficiently serviceable. Symmetra PX architecture can scale power and runtime as demand grows or as higher levels of availability are required. The Symmentra PX range serves as the core power train for APC InfraStruXure® systems for small and medium data centres, and can also power individual "zones" within larger data centres. Highly manageable, the Symmetra PX features self-diagnostic capabilities and standardized modules which mitigate the risk of human error resulting in increased overall data centre reliability. 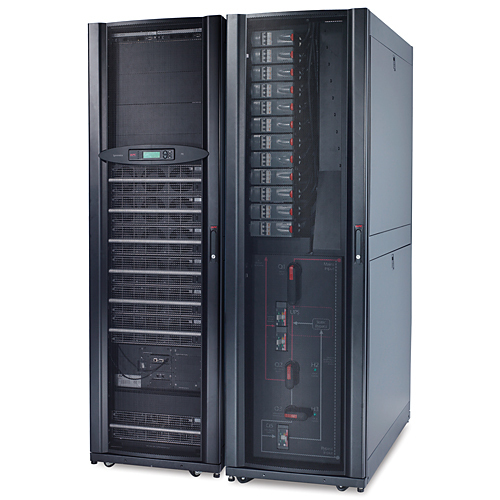 APC Symmetra MW redefines high-power UPS technology as a modular, fault-tolerant UPS in the 400-1600 kilowatt range. Ideal for large data centres, complete buildings and other critical facility protection, Symmetra MW can be scaled for rigorous and changing electrical demands. The units provide increased availability through internal N+1 configurability, predictive failure notification and multi-module paralleling features. Over 94% efficient at just 25% load and 97% efficient at full load, Symmetra MW delivers best-in-class efficiency. It sets a new standard for low cost of ownership and enables a reduction in rating of electrical infrastructure - wires, transformers and generators. Slide-in/out power modules, manageable external batteries and self-diagnosing features greatly reduce mean time to repair. With a wide range of options, Symmetra MW provides a customizable system in a standardized design for all large, on-demand network-critical physical infrastructure. For more information about ECA’s please visit http://www.eca.gov.uk/etl; for more details regarding APC’s Symmetra PX and Symmetra MW innovative modular power solutions for data centres and critical facilities, please visit www.apc.com/gb or call 0800 2799254. This press release was distributed by ResponseSource Press Release Wire on behalf of Spa Communications in the following categories: Computing & Telecoms, for more information visit https://pressreleasewire.responsesource.com/about.